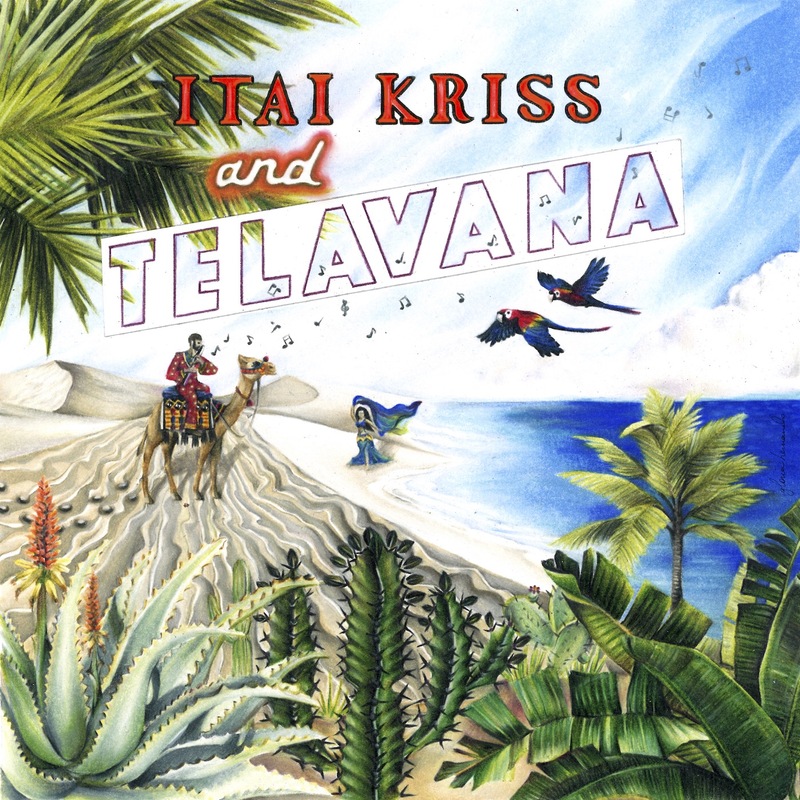 OUT NOW: Flautist Itai Kriss Releases his New Album “Telavana” TODAY! Israeli flautist and composer Itai Kriss is proud to release his highly anticipated sophomore album Telavana TODAY, July 7th, 2018! Presenting the dynamic sound of his eponymously-named esteemed ensemble, Kriss bridges the musical spheres of the Middle East and the Caribbean by combining Timba, Soul, North African music and Jazz to create a unique and lively mix of rhythms and textures. Rather than simply combining and unifying the elements of Tel Aviv and Havana, Telavana explores the myriad of connections that have historically connected the east and the west, and the beautiful artistic and cultural fruits of this continuing cross-pollination. Itai Kriss will celebrate the release of Telavana at The Django, located at 2 Avenue of the Americas, New York, NY on Saturday, July 7th and at Smalls Jazz Club in NYC on July 20th. The flautist, praised by Jazzwax as “one of the most exciting new flautist-composers” on the scene grew up in Israel and was exposed to its many musical traditions ranging from Morocco to the Balkans, Yemen to Turkey, Egypt to Russia. Upon pursuing his childhood dream of moving to New York City to study jazz, Kriss was naturally drawn to the enticing sounds of salsa, Afro-Cuban music and Latin jazz and was “adopted” by Puerto-Rican and Cuban musicians who became important mentors. Now, after spending the past fifteen years working at the forefront of New York City’s Jazz scene while performing, recording and touring with some of the world’s top Afro-Cuban, Latin and salsa artists, the virtuoso fuses the sounds of his native Israel with those of his adopted homelands in the Americas to bring you Telavana. Stand out tracks from the album include “Sahadi’s Serenade”, a dedication to Kriss’ favorite Middle Eastern grocery in Brooklyn and “Shabazi”, a festive tune titled for one of his beloved neighborhoods in Tel Aviv, which is notably featured in a music video starring dancer Elena Nayiri. While “Para Venezuela” combines elements of Merengue Venezolano (traditional Venezuelan folk music) with classical, jazz and Cuban elements, “Azules”, literally translating to ‘blues’, is a Spanish/flamenco inspired composition with a form that’s based on the blues and melodies drawn from the Andalusian traditions of southern Spain. “Rak Beinatayim”, an arrangement Kriss created to a song by prolific Israeli songwriter Nurit Hirsh in the style of a Cuban danzón, is the only song on the album not composed by the band leader. Telavana is presented by a group that aptly mirrors the serene amalgamation of these diverse musical cultures. Representing the sounds of the East is Israeli bassist Or Bareket, Jerusalem-born drummer Dan Aran and special guest qanun player and Turkish-native Tamer Pinarbasi. Kriss completes this multi-regional line-up with Puerto Rican percussionist Marcos López, Cuban pianist César Orozco, New York jazz trumpeter Michael Rodriguez, and world renowned multi-instrumentalist and Cuban-native Yosvany Terry (who on this occasion lends his talents on shekere). Each of these accomplished musicians bring their own individual, distinct cultural backgrounds and flair to this nine track opus. Kriss is thrilled to have these particular musicians bring his vision to life as each of them truly bring the flavours from their own lands to his music. Although each member of the band hails from various corners of the world, this ensemble showcases the ease of communicating through and with music. For Kriss, this music evokes the feeling of being in a world that isn’t actually so big as people think. While geographically the Middle East and the Caribbean are distant, the people of both lands channel a range of musical similarities with each other. Undoubtedly, both regions share a strong and congruent passion for rhythm and music and Kriss hopes that his listeners immediately hear this connection on Telavana. Itai Kriss commands a variety of musical genres with an eclectic style infused with Jazz, Latin and Middle Eastern sounds. According to Downbeat Magazine, there is a “tangy, exotic flavor” to the New York musician’s style, which can be heard on his first album, The Shark. Growing up in Tel Aviv, Kriss was surrounded by a range of musical and cultural stylings; From Moroccan to Balkan, Yemeni to Turkish. Beginning his jazz education at Thelma Yellin High School for the Arts, Israel, Kriss moved to New York to continue his jazz journey at the age of 22. While jazz was what primarily lured Kriss to the city, the accomplished musician found himself particularly exposed to the music of Cuba, Puerto Rico and Latin America. Playing with Salsa and Cuban groups, he naturally developed his knowledge of the sounds and stylings of the Caribbean. With so many musical styles and traditions in his ear, Kriss never had to make a conscious effort to blend each of his influences, but rather does so fluently and intuitively. During his time in NYC, Kriss has had the fortune to be a part of several bands with long-running weekly dance parties where the sound of the band would be honed and deepened by weekly interactions with dancers who became regular patrons. The dance aspect is very important to Kriss because all Latin and Caribbean music is essentially dance music and it always has a strong pulse which is like its heartbeat. Kriss is a vital member of the New York Jazz, Latin Jazz and Salsa music scenes. He can be heard performing, touring and recording with his own ensembles and some of the most exciting Jazz and Latin musicians in town, including Los Hacheros, Dafnis Prieto, Elio Villafranca, Edmar Castañeda, Jorge Glem, Yemen Blues, Gregory Hutchinson, Burning Spear, Pedrito Martinez, Jerry Gonzalez, Omer Avital, Yosvany Terry, Avishai Cohen, Eric McPherson and Aaron Goldberg, to name a few. When not touring, Kriss performs regularly at premiere New York music venues including The Blue Note, Birdland, S.O.B.’s, Jazz at Lincoln Center and The Copacabana.